During meal prep this week I needed a new way to cook vegetables. I found a quick, easy way to roast a large amount at one time that came out pretty good. NOTE: This recipe is completely customizable. Feel free to use the vegetables that you like and the spices that you like. No precise measurements for this, either. 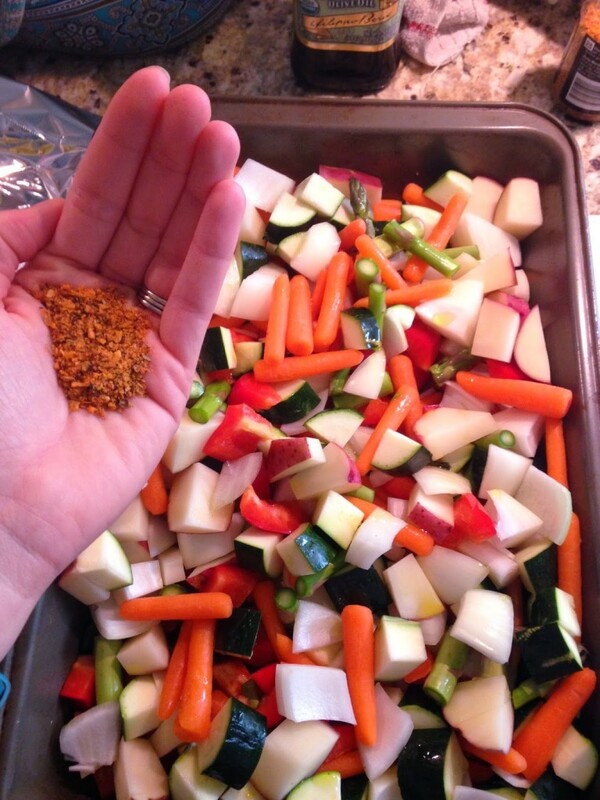 *Spices: I used Roasted Garlic and Herb blend, Onion Powder, Sea Salt, and Pepper. The possibilities here are endless- take what you like and go with it. -Prep veggies by making sure they are clean (use this cleaner if you don’t have one) and then chop them into small pieces. The potatoes will cook the slowest, so make sure they are chopped into small pieces. 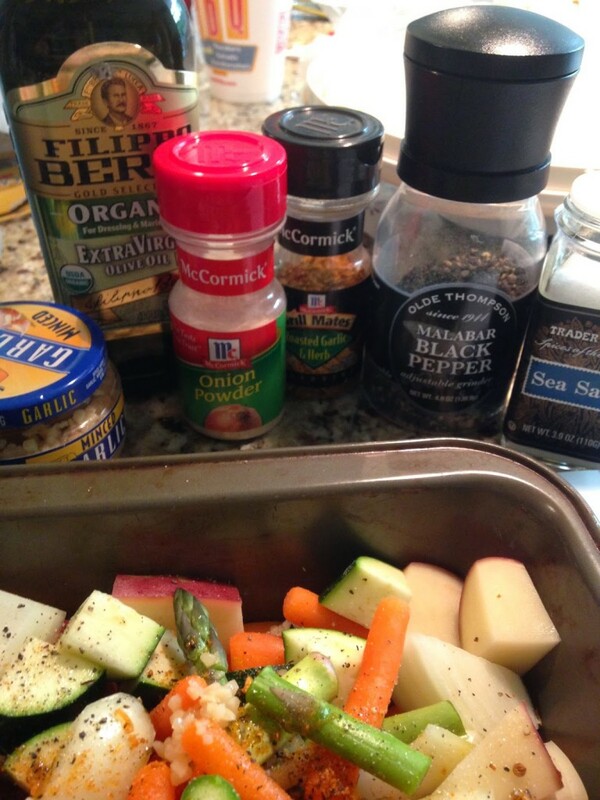 -Put olive oil over the veggies (I probably used a couple tablespoons). -Add any spices you like, then stir all together gently. -Cover with foil tightly and put in 425 degree oven for 30 minutes. 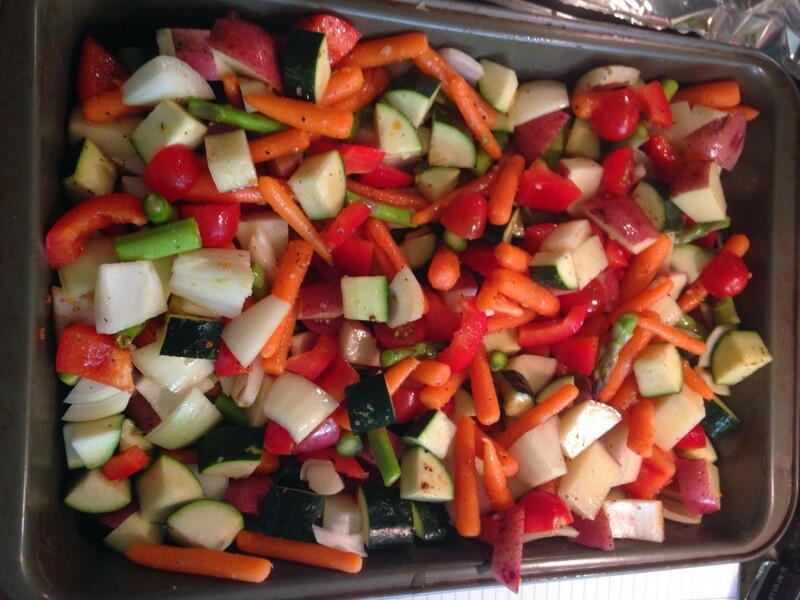 -Check veggies at the 30 minute mark and see if they are tender. If so= DONE. I prefer mine with a bit of a crunch, so I bake for less time.